It takes a village to raise a child. Parents rarely raise kids alone. Often, they rely on family, friends, and neighbors to ensure that their children are taken care of throughout the week. 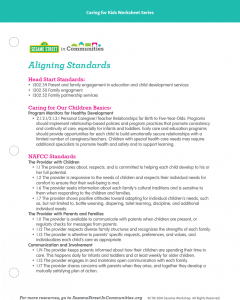 Sesame Street in Communities has resources designed with this “village” in mind. 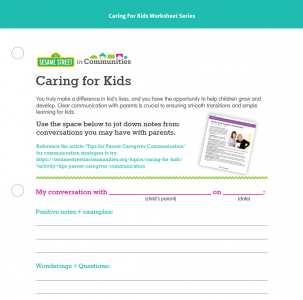 In this session we’ll explore resources from our “Caring for Kids” topic page. 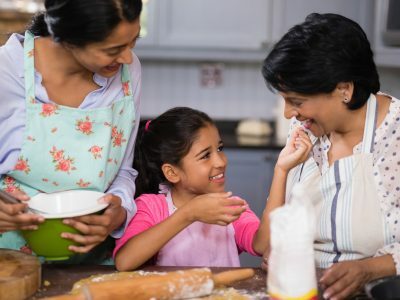 We’ll discuss ways to enhance communication between caregivers and parents, and share simple strategies for enhancing adult-child interactions. At the end, we’ll watch as our friends at The Children’s Place in Kansas City, MO, model how to put simple strategies like these into action.